A large-scale rescue operation took place in Grimsby as the residents of about 50 homes were helped from their flooded properties. Boats were used to ferry people from the Willows estate and Anderby Drive on Tuesday as waters continued to rise. In west Hull, boats were used to rescue about 90 householders from County Road North which was under 4ft (1.2m) of flood water. 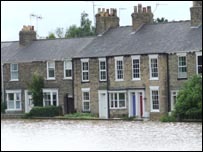 In Beverley dozens of homes were evacuated as flood waters rose. About 50 people at a Hull nursing home were also led to safety by rescuers. Emergency services worked to the limit across the Humber region as torrential rain, swollen rivers and burst drains stretched all 999 crews. Humberside Fire and Rescue received over 100 calls for help after midnight. 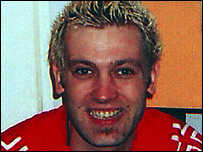 On Monday Michael Barnett died when he became trapped in a drain in Hessle, Hull, as the flood waters rose. The 28-year-old had been up to his neck in water after becoming trapped by his foot, Humberside Fire and Rescue Service said. Spokesman Glenn Ramsden said firefighters had gone under the water to try to free the man until specialist rescue crews arrived. He said: "For some reason he got stuck in a grate and couldn't be freed, and despite rescue efforts unfortunately the flood waters just kept rising and rising and we couldn't save his life. "The flood waters just kept rising and beat us." Army crews were drafted in to sandbag areas of Cleethorpes and Grimsby. Dozens of animals had to be moved in South Cave as kennels became submerged. Cemeteries across Hull remain closed because of the bad weather, the city council said bereaved relatives should contact funeral directors to check on arrangements. In Hull an orchestra stranded at the City Hall because of the bad weather played an impromptu concert for flood evacuees.